VATICAN CITY (CNS) — A bishop cannot truly discern God’s will by lording over his flock; rather he must listen to and participate in the lives of those entrusted to his care, Pope Francis told some 120 new bishops. 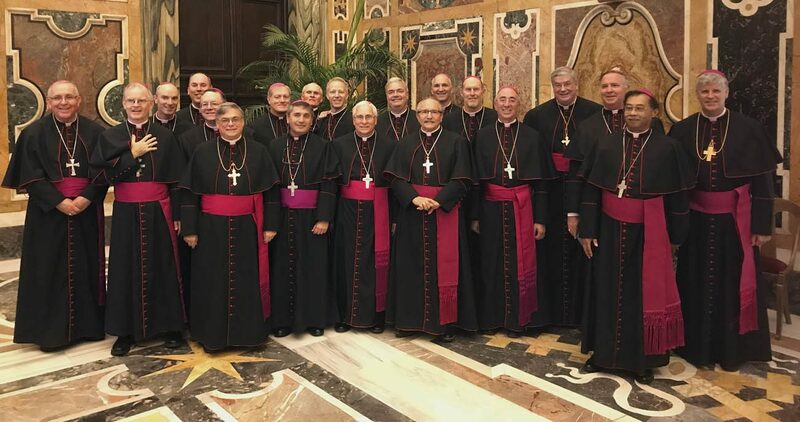 A bishop’s discernment is a “community action” that cannot disregard “the richness of the opinion of his priests, deacons, the people of God and those who can offer a useful contribution,” the pope said Sept. 14 at the end of the annual Vatican training for new bishops. “The bishop is not a self-sufficient ‘father-ruler,’ nor is he a frightened and isolated ‘solitary shepherd,'” he said. A bishop “cannot take for granted” that he has wisdom, as if it were “an acquired right” that comes with ordination, the pope said. No, wisdom is a gift which must be prayed for continually. A bishop’s discernment is a “creative process” that is an “antidote to rigidity because the same solutions aren’t valid everywhere,” Pope Francis added.